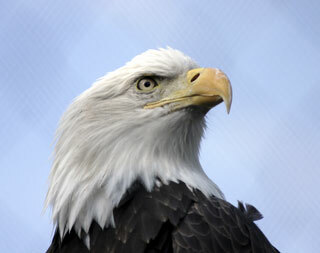 An eagle's eyesight is four times better than a human with perfect vision. That's why we like to say our pre-press team have "eagle eyes" since they routinely catch details that normal eyes would rarely catch. Our pre-press technicians have decades of experience in color, accuracy and file preparation. They work with all the latest software to ensure that your design will be faithfully reproduced. The skill our customers comment on the most isn't technical, its our team's helpful and caring approach to their projects.